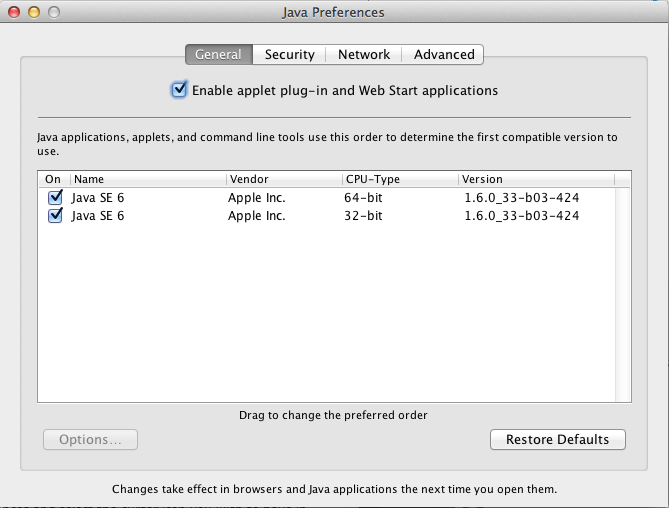 When you want to install the Cisco AnyConnect Client on Mac OS it will try to use java. If for what reason java is not enabled it won’t work and you will receive an error message. You need to make sure that Enable applet plug-in and Web Start Applications is enabled. Now refresh the AnyConnect Page and the Cisco AnyConnect client will get installed.